In the fight for justice, we must face the difficulty of distinguishing the past from the news of the day. 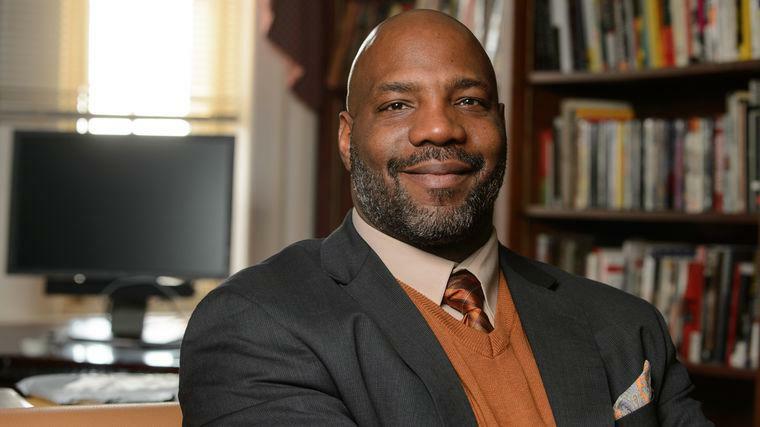 Journalist, educator, and diversity speaker Jelani Cobb writes about the enormous complexity of race in America. As recipient of the Sidney Hillman Prize for Opinion & Analysis Journalism for his New Yorker columns, Cobb was praised for combining “the strengths of an on-the-scene reporter, a public intellectual, a teacher, a vivid writer, a subtle moralist, and an accomplished professional historian”—qualities he brings to his gripping talks. Jelani Cobb is prominently featured in Ava Duvernay’s 13th, her Oscar-nominated documentary about the current mass incarceration of black Americans, which traces the subject to its historical origins in the Thirteenth Amendment. “13th explodes the ‘mythology of black criminality,’ as The New Yorker’s Jelani Cobb at one point in the film refers to the successive and successful measures undertaken by political authorities to disempower African Americans over the last three centuries” wrote The Atlantic. Cobb also teaches in the Columbia University Graduate School of Journalism, where he recently accepted a duPont-Columbia Award on behalf of Duvernay for the documentary. A long-time staff writer at The New Yorker, Cobb has written a remarkable series of articles about race, the police, and injustice. His articles include “The Anger in Ferguson,” “Murders in Charleston,” and “What We Talk About When We Talk About Reparations.” He is also the recipient of the Walter Bernstein Award from the Writer’s Guild of America for his investigative series Policing the Police, which aired on PBS Frontline. At the 2015 Hillman Prize ceremony, presenter and journalist Hendrik Hertzberg described the work of Jelani Cobb as combining the “rigor and depth of a professional historian with the alertness of a reporter, the liberal passion of an engaged public intellectual and the literary flair of a fine writer.” So it is with Cobb’s riveting, auspicious keynotes: up-to-the-moment meditations and breakdowns of the complex dynamics of race and racism in America. Whether speaking on Black Lives Matter and activism, the battle zones of Ferguson or Baltimore, the legacy of a black presidency, or the implications of the Trump era—or, more generally, on the history of civil rights, violence, and inequality in employment, housing, or incarceration in the US—Cobb speaks with the surety and articulate passion of only our best journalists. His keynotes inspire us to work, tirelessly, toward achieving an ongoing dream of equity—of genuine democracy. They show us that not only are the levers of justice in our hands, but we can move them in the direction we see fit. And they remind us that the only obstacle holding us back is the comforting illusion that we’ve already achieved our goals. The Lavin Weekly: Taking the High Road, Democracy vs. Math, The Last “Ism,” Afghanistan Strategy, & "Islam’s Mosh Pit"